Friends reunited? 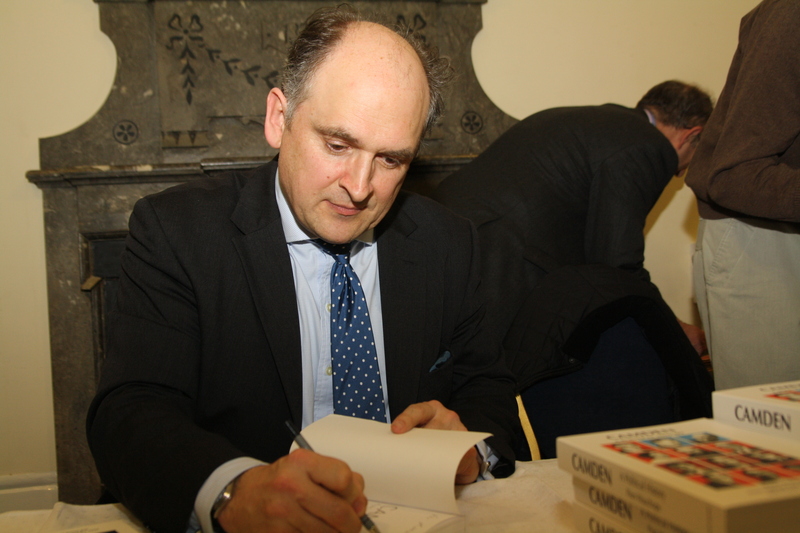 They nervously checked for their names..
TO old Hampstead Town Hall for a jovial night in the company of Piers Wauchope, the former Conservative group leader in Camden who is causing a Rawnsleyesque stir with his new book: Camden – A Political History. Not much is held back in the final chapters, in which Piers takes some sort of revenge for his days in opposition. A classic example is the three pages in which he rips to shreds Camden’s ‘council of the year’ award granted to the Town Hall, then run by Labour, in 2002 by the Local Government Chronicle. 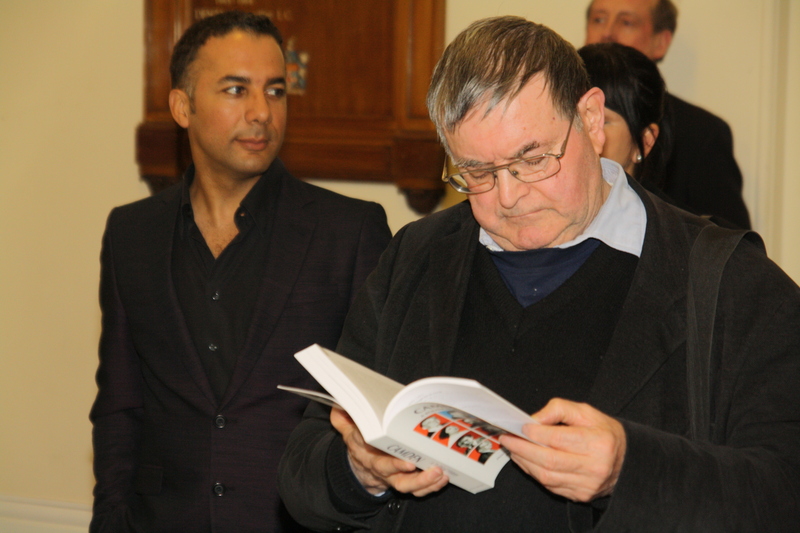 This book launch might have been frostier if former Labour leaders Raj Chada or Dame Jane Roberts (Eek – has Dame Jane actually seen a copy yet?) had been there.The passage of time may have healed the wounds for some of Labour’s old guard but its not a universal feeling. The clink of champagne glasses tonight was all in good spirits, a welcome break for those candidates stressed out by the final run-up to this year’s unpredictable elections. Keith Sedgwick and Theo Blackwell suspended their current battle for re-election and election in Gospel Oak for a shared joke. Chris Knight (Con) teased John Thane (Lab), environment chiefs present and past. Presumably parking was top of the list. Ernest James (former Lab councillor) was deep in conversation with Martin Davies (Conservative councillor). Keith Moffitt (Lib Dem leader of the council) gave a big catch-up hug to Mike Greene (former Conservative executive member), who was unashamedly sporting an orangey Bournemouth tan. The banter was in overdrive, yet amid the confidence it was interesting that nobody was really predicting their party would be the biggest party on the council following May’s boroughwide ballot. The Lib Dems have more councillors than everybody else but their opponents think they have nowhere else to run. We could be set for years and years of coalition government in Camden. And while there were laughs aplenty, with Piers the grinning host laden with chicken satays, canapes and souvenir signed editions of his book, there was nervous thumbing through the pages by his customers too. Were they ridiculed by Wauchope’s wit? Some will have seen they get far more spikier treatment in this partisan telling of Camden’s political history than others. Most aggrieved, however, were those who saw they hadn’t warranted a mention at all.